Learn to make money online without giving up any of yours. There are so many websites and products out there that claim the ability to teach you how to make money online. How many of them do you suppose actually keep their promises? This is a review of my experience with the free Affilorama membership. While it is free, it does take time to go through all the training. New Zealander, Mark Ling's mistake made him millions. But from his mistake, Affilorama was born. Mark was not always a top-level affiliate marketer. He was once a broke college student. Looking for a better way to earn money, he found affiliate marketing. He started to earn lots of money. And he was on top of the world. That is, until Google slapped him silly causing him to go into debt. He ended up quitting affiliate marketing and took a day job. But he realized that was not getting him anywhere. Particularly after making thousands a week. So he decided to build his business again. He revamped his strategies, worked hard... and now? Mark created his free Affilorama membership. 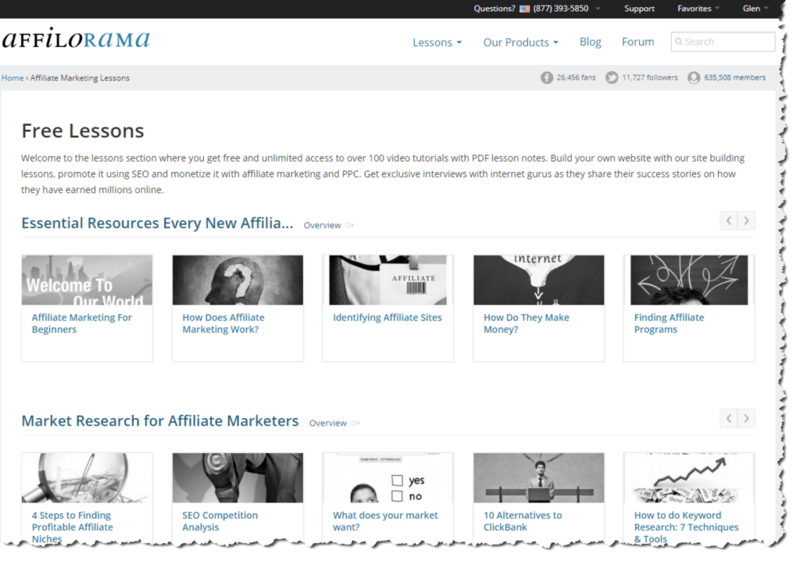 Affilorama is an educational portal on affiliate marketing to help others create a dream life. I checked it out, joined, and now recommend it. This shows what is included in the free Affilorama membership. 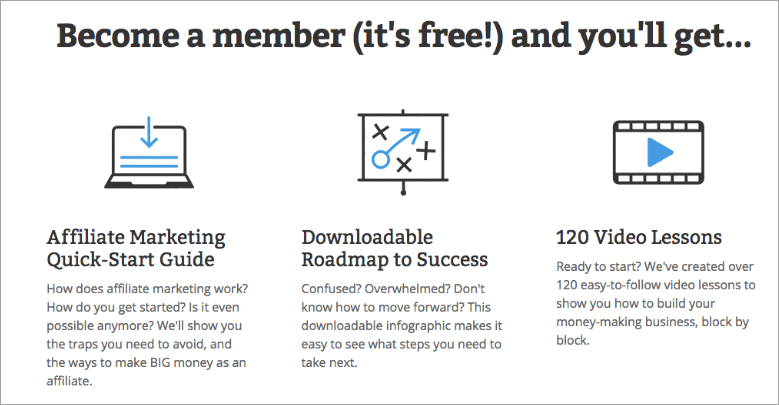 A free member receives the Affiliate Marketing Guide, the Downloadable Roadmap to Success, and 120 easy-to-follow video lessons. Affiliate Marketing Quick-Start Guide - guides you around common obstacles faced by fresh affiliate marketers, saving you both time and money. Downloadable Roadmap to Success - infographics that is a visual checklist for creating a successful affiliate website. 120 Video Lessons - further described below. Free members receive access to over 120 free video lessons. The lessons cover many topics about how to become a successful affiliate marketer. Because Affilorama has over 120 lessons, it has something for everyone. If you’re just beginning in the internet marketing world, you can start with the lessons that teach you the basics of what affiliate marketing is and how it works. You can then work your way up from there. But it’s also great if you’re an intermediate marketer too. MarkLing's lessons cover topics aimed at more experienced marketers such as how to effectively use outsourcing to grow your business/websites. So don’t think this is for newbies only: It’s for everyone. The following screenshot shows how nicely the lessons are organized by topic. The following screenshot shows the first lesson. Another cool bonus you get for becoming an Affilorama member is you will get access to their free forum. This is one of the largest forums on the internet for discussing affiliate marketing. The Affilorama training staff also pop into the forum to answer questions. Affilorama’s free membership is a great training package and I recommend it. There is good news! Affilorama offer $1 trials of their Affilorama Premium subscription on occasion. This gives you access to these things, plus some premium training too. So if you see the Affilorama $1 trial offer for Premium membership, take it. Because the service will save you a LOT of money. I am happy I signed up to Affilorama’s membership. I have enjoyed the video lessons by Mark Ling, millionaire marketer. I recommend the free Affilorama membership. 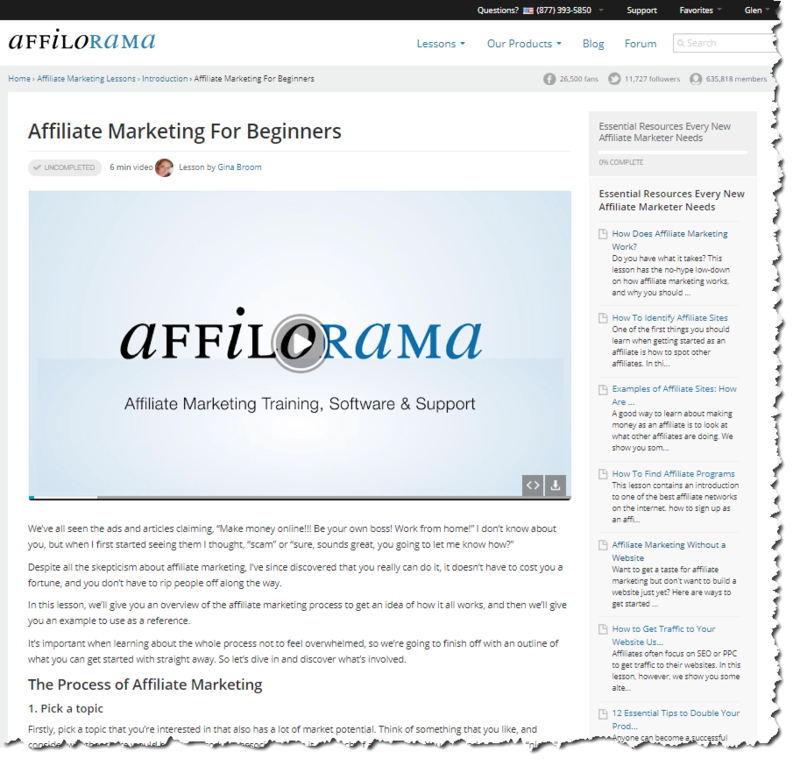 I also recommend reading the Affilorama Quick-Start Guide as it does an excellent job providing an overview of affiliate marketing in 32 pages. Then watch and read the training and participate in the forum. Learn, build, and market a successful affiliate marketing business. I hope my Affilorama Free Membership Review has provided useful information. If you have questions or comments, please fill out and submit the form below. I am looking forward to responding.